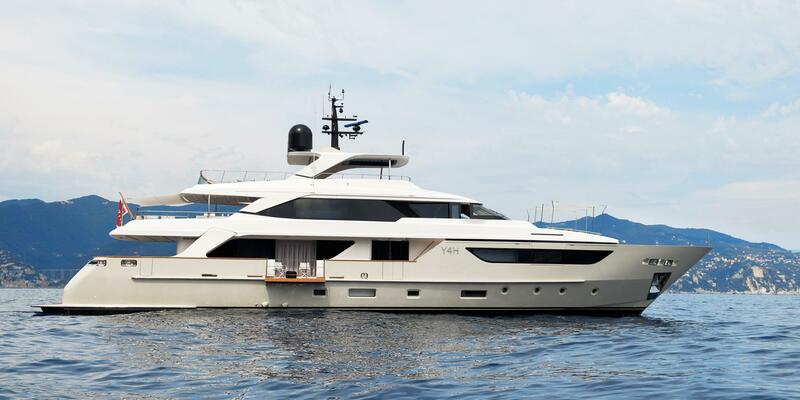 Measuring 37.95 metres (124' 6") motor yacht Y4H is a modern luxury vessel built by the Italian shipyard Sanlorenzo and launched in 2017. 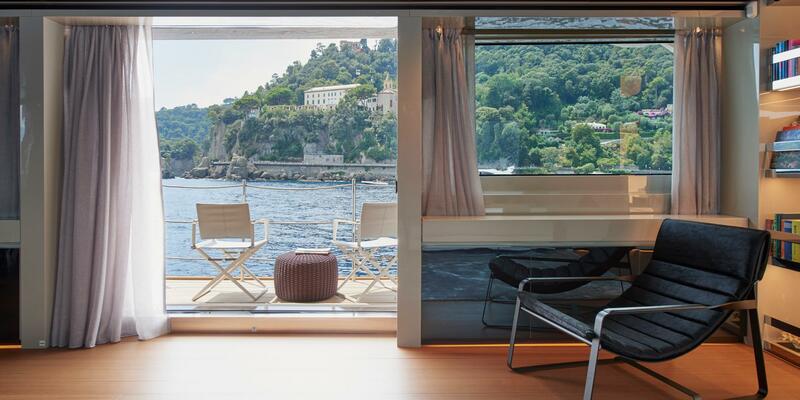 Her exteriors were designed by Francesco Paszkowski with interior design by the shipyard’s in-house team offers accommodation for up to 11 guests in five cabins. She has a crew of 7. 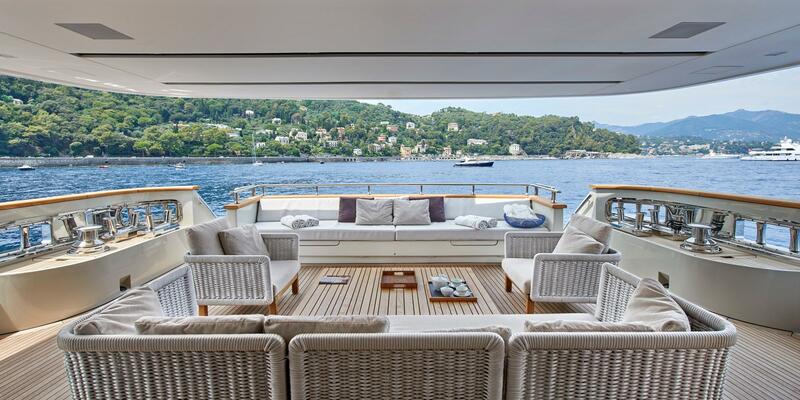 The main deck aft is laid out with a casual alfresco lounge that places two sofas and armchairs around a central coffee table. Stairs lead down to the swim platform, while along the starboard walkway there is a fold-down terrace to the main salon. 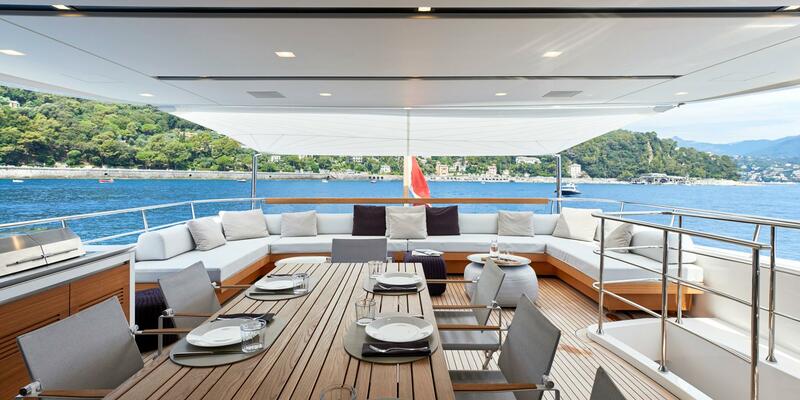 The upper deck aft hosts the alfresco dining table, which has a casual and elegant quality for dining at any time of the day. After the meal, guests can remain outside and settle into the seating along the stern. A Portuguese deck on the bow provides a forward space outdoors where guests can separate from the main group for meals and quiet reflection. 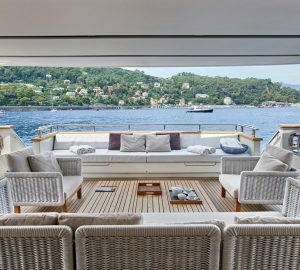 On the sun deck, guests can savour the views while soaking in the forward Jacuzzi, then dry off on the sun pads or aft sun loungers before an alfresco lunch in the lounge under the hardtop shade. 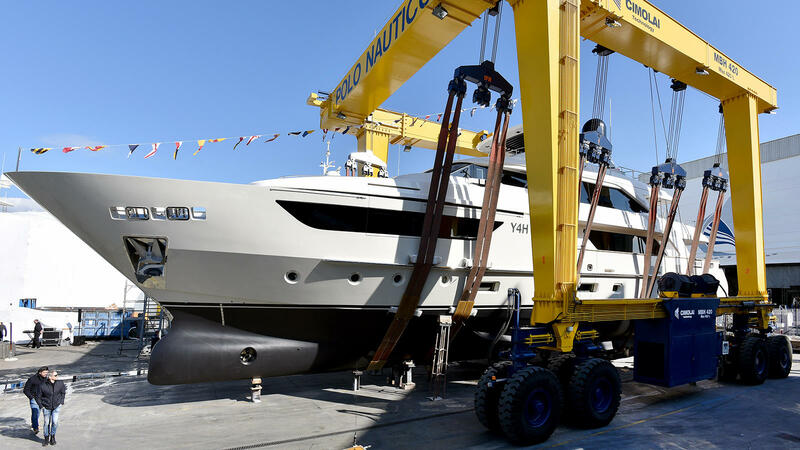 The lower deck aft contains a tender garage with the engine room placed in front. The guest accommodation consists of two VIP staterooms, one double cabin and a twin cabin, all of which come with en-suite facilities. The crew accommodation and facilities are located in the bow. 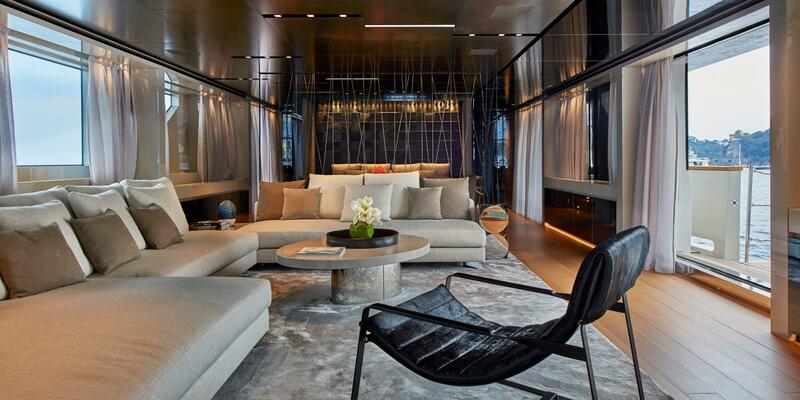 The full-beam Master suite is on the main deck forward and also benefits from a private lounge and study area. To the aft, formal dining area and salon share the same room, which contrasts deep mauves and charcoal blacks against teak decking and silver and white furnishings. 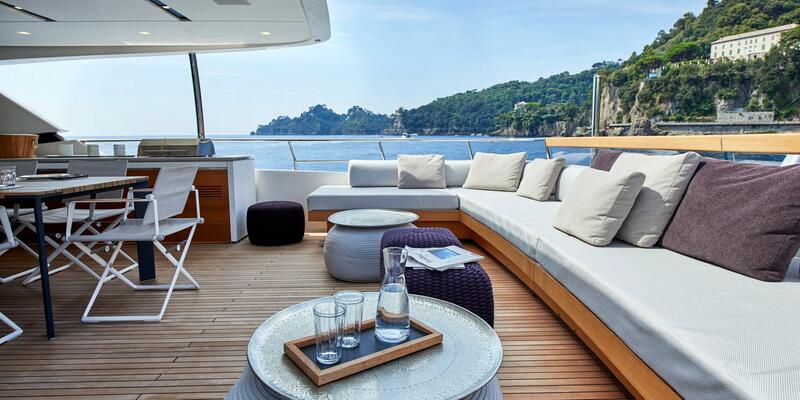 The spacious lounge looks out onto a side terrace on the starboard side for fresh air and incredible views while relaxing. Guests are treated to an incredible light display in the stairway as they ascend to the upper deck, where behind the helm station the sky lounge provides a second relaxation area filled with plush sofas. Accommodation is provided for up to 11 guests in one double master cabin, two double VIP cabins, one double guest cabin and one twin guest cabin with extra Pullman berth, sleeping an adult. The master suite has a shower and a bathtub, while the rest of the guest accommodation has a shower in the ensuite bathroom.